Yes! That's right 35 of the all time hottest classic games in one beautiful brand new cabinet. 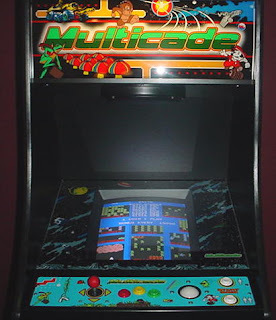 Includes joystick as well as trackball and 3 fire buttons so you can play games like Missle Command and Centipede. This is the hottest game we have going and at $2995 for the upright and $2895 for the cocktail this is a bargin. You can upgrade to a 25" monitor for only $300. Trackball only in upright version. ORDER TODAY AND GET FREE SHIPPING TOO!